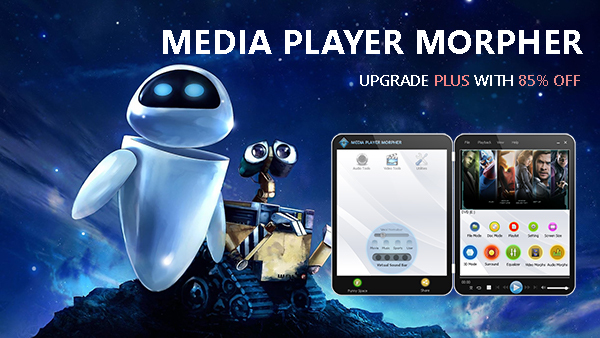 If you are looking for the best media player out there, this one, Media Player Morpher PLUS will be a very wise choice for every need with special tools, settings and most of all, the free basic version. Thinking about enjoying a full expensive surround system with just normal speakers at your home, impressive, right? 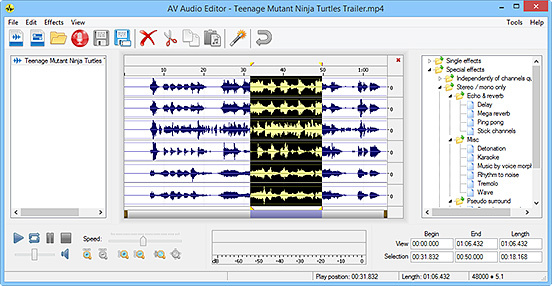 But wait, there are more: Audio Editor, Audio/Video Converter, etc. And the best thing? It's FREE with the basic version and the PLUS version is having 85% OFF. This is the golden feature that can help you miraculously transform your personal computer with two normal speakers into an expensive surround system to enjoy a good movie right at your home. It can be a 5:1, 6:1 or 7:1 system with different modes for movie, music, sport, and user custom. This will be your saving solution to the normal audio files that the other media players do not have. With Audio Editor tool, you will be able to edit/cut/split/merge/add effects and more to the audio files and then convert them into various format options. 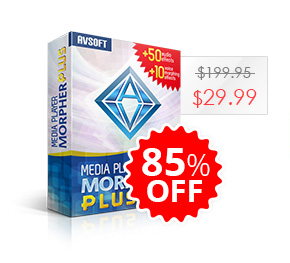 When upgrading to PLUS version, remember the effects for your audio editing? You will have a lot of more effects, ready-to-use presets and premium support from the company.